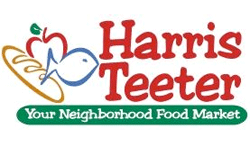 Rumor has it that Harris Teeter Super Doubles are starting on 5/29. I’m hoping to enjoy a little family time over the long weekend, so I went ahead and got this list of all the high value coupons ready for us today! Friday finals might be a little late….. The deals below are all items that are regular priced or that are on sale. They all make for fun deals paired with $1.50 and $2 coupons that double!! This is just the first of (3) three lists, so start getting ready slowly. If you know of any other high value coupons that will double, share them below in the comments section.